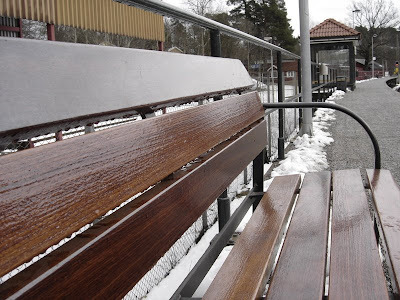 All you need in a quiet place like Storängen is a comfy bench and here it is! This is my kind of angle. I even made a half-hearted attempt at a macro shot of this bench. No luck.